I found out afterwards when I read up on my history that some of the things that I did were quite important. 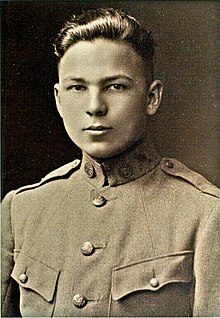 Frank Woodruff Buckles (February 1, 1901 – February 27, 2011) was, at age 110, the last known surviving American-born veteran of the First World War. Joking on joining the Army at age 15. On being received by George W. Bush for an opening of an exhibit, as quoted in CNN (March 8, 2008). On how he came to driving ambulances, as quoted in The Tampa Bay Online. I had many different assignments and I was doing things that I thought were important... no, I didn't either: I didn't think they were important. But I found out afterwards when I read up on my history that some of the things that I did were quite important. I think General Pershing was the most military figure I’ve ever seen. On why he does not read fiction books. Longevity has never bothered me at all, I have studied longevity for years. On service in the U.S. Army, as quoted in The Knoxville News. One day, I came in and she was on the telephone. She was quite pale. She told me that I wouldn't believe what was going on. She was being watched. She said she would not be able to invite me for tea again. She was a nice Jewish lady. On his travels to Nazi Germany in the 1930's. When you start to die, don’t. We cherish the chance to say thank you in person to Cpl. Frank Buckles.